Putting the onus on the states to check cow vigilantism, the Supreme Court today reserved its verdict on pleas seeking directions to formulate guidelines to curb such violence, saying no one can take law into their hands. A bench of Chief Justice Dipak Misra and Justices A M Khanwilkar and D Y Chandrachud said this was a law and order issue and each state has to be responsible. The bench said it will pass an order on the pleas. During the hearing, the bench observed that the instances of vigilantism was actually mob violence, which is a crime. Additional Solicitor General P S Narasimha said the Centre was alive to the situation and trying to deal with it. He said the main concern was maintaining law and order. The bench said nobody can take law into their hands and the onus was on the state governments to prevent such incidents. On September 6 last year, the apex court had asked all the states to take stern measures to stop violence in the name of cow protection, including appointing of senior police officers as nodal officer in every district within a week and acting promptly to check cow vigilantes from behaving like they are "law unto themselves". 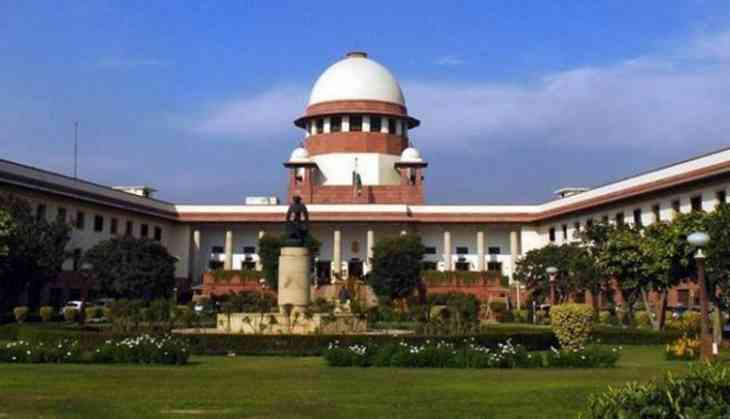 The apex court had sought response from Rajasthan, Haryana and Uttar Pradesh governments on a plea seeking contempt action for not following its order to take stern steps to stop violence in the name of cow vigilantism, today led the Supreme Court to seek responses from the three states. The contempt petition has been filed by Tushar Gandhi, the great grandson of Mahatma Gandhi, saying the three states have not complied with the top court order of September 6 last year.